Here we going to show you that how to create a blog in Blogger. Thanks to Blogger which have given us a great facility to create a blog abosolutely free. Just 13 steps to Start a Google Blog. Step 1: Start your favorite web browser. Step 2: Type in http://www.blogger.com/ in address bar of your browser. Step 3: You will be taken to the Blogger’s home page. Step 4: Scroll down a little bit then page will be shown like following picture. You can create a blog easily and quickly in Blogger. There are three steps you have to do to create a blog. Step 5: Now Click at “CREATE YOUR BLOG NOW”. 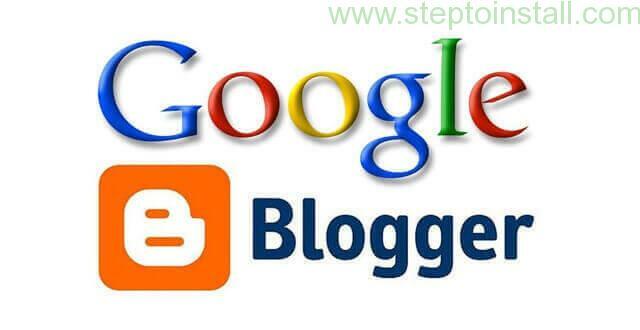 Step 6: You will be presented a first step to create a blog “Create a Google account”. Step 7: If you already have a Gmail or Google Groups or Orkut account then first you have to signin by clicking at “Sign in First” link. Then you will be presented Google account signing in page. Sign in to Google account by typing in there your Id and Password. Please Note : If you don’t have a Google account then skip the step 7. Step 8: If you don’t have a Google account then you have to create one. For this you have to fill the form as shown above type in your Email address. You must have an email address then Enter a password and Retype your password. Your password must be at least 6 characters long. Password and Retype password must be same. Now type in your Display name. This name will be used as a signature of post. Type in Verification word in the given text box. Then read the terms of service by clicking “Terms Of Service” link. If you agree with the terms of service then check the “I accept terms of service” check box. Then click “Continue” button to continue the blog creation process. Step 9: Now you will be shown second step to create a blog that is Naming a blog. So you must think an appropriate a blog title and blog URL beforehand. Just suppose blog name is “Unique Technology Blog” and blog address (URL) “unicomtech”. Type in there your Blog name and Blog URL and click “check availability” link. It is for just checking that somebody has already taken this URL or not. If it is available then you can proceed further, and if is not then type in some other URL. Step 10: If you want to host your blog somewhere else then Click “Advanced Blog Setup” link else click “Continue” to proceed further. Step 11: Now after clicking “Continue” button you will be presented third step to create a blog that “Choose a template” here you can choose a template for your blog from variety of template click “Preview template” link to preview your blog. If you choose a template from here then also you can change it later. Step 12: Click “Continue button” and you are done. Your blog has been successfully created. Step 13: Now click “Start Posting” button to write a first post for your blog. Write a title of post and body of post. You can also format your post by given formatting tools like bold, italic, underline, text color, size, font and alignment of the text then click “Publish” button to publish your first post. If successful message appears then you have successfully post your blog post. Now click “View blog” to view your blog. Happy blogging. If you face any difficulty in doing this you can email me. This entry was posted in Blogger, General, Website.